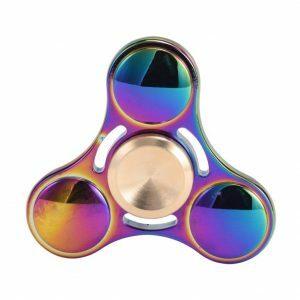 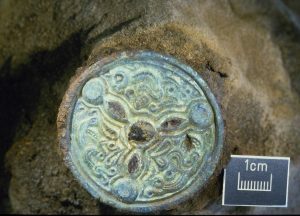 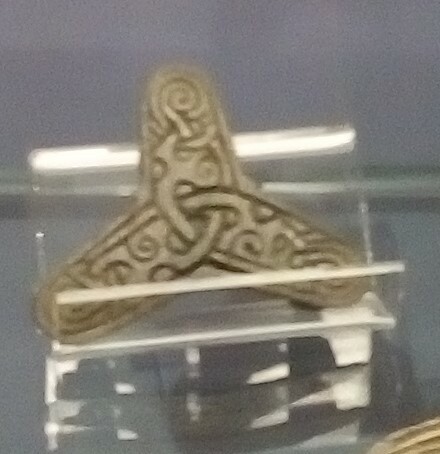 Spot the difference: Top: Viking brooch ……bottom: Fidget spinner! 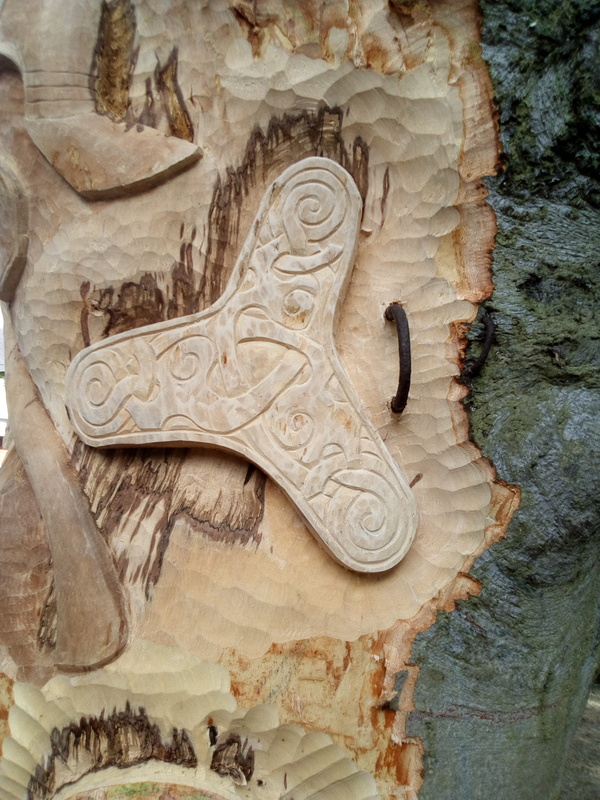 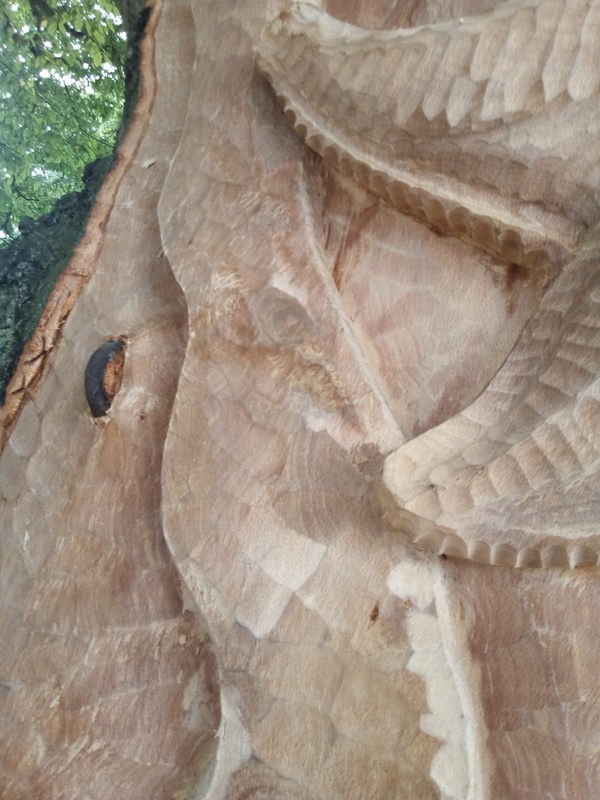 The only photos I could manage were like this blurred effort above, taken through the glass of the display cabinets, so when it came to drawing the design on the tree trunk I was struggling a bit. 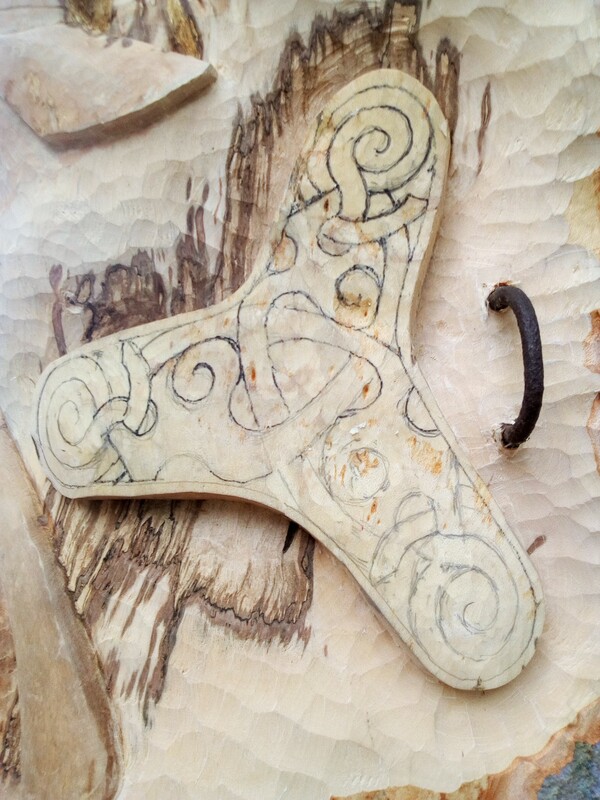 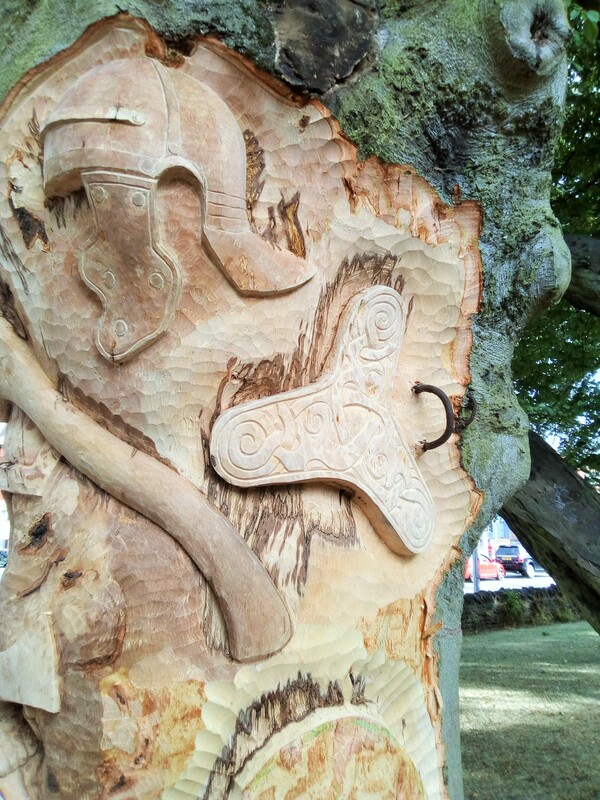 I think it took as long to draw on he knotwork as it did to carve it. 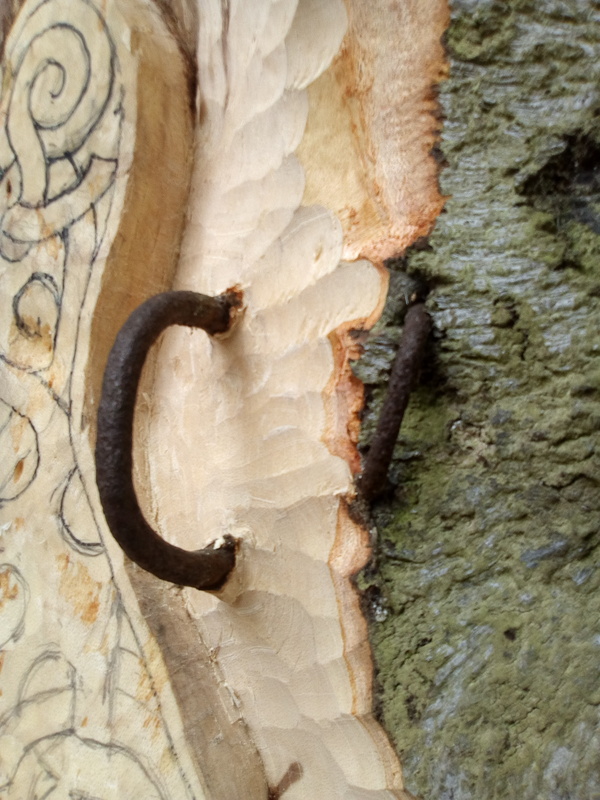 Those steel hoops must have been hammered in a long time ago ~ I quite like them, they tell a part of the story of the tree. 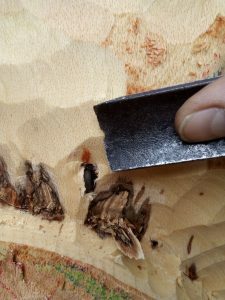 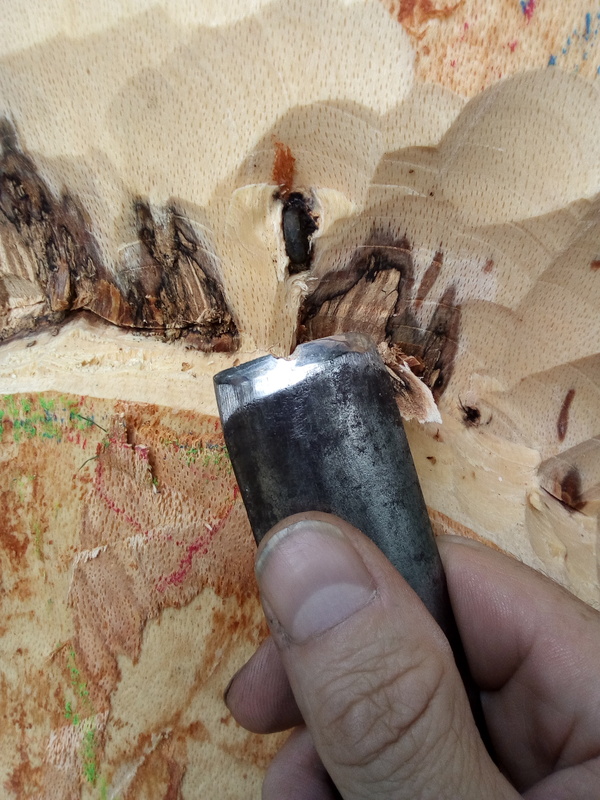 Hitting this small steel loop, buried in the wood with years of growth over it, my gouge stood no chance. Much gnashing of teeth ensued and I’ll have to get the gouge on the grinder to get rid of that notch. 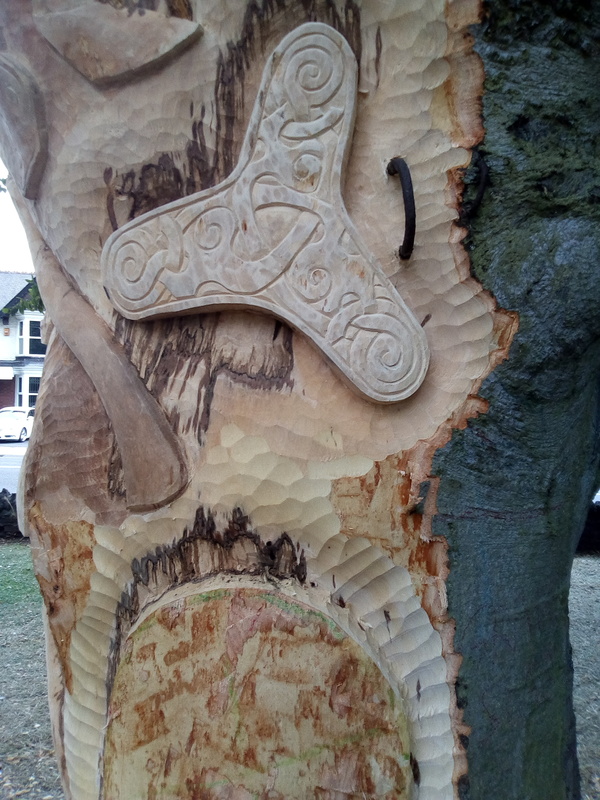 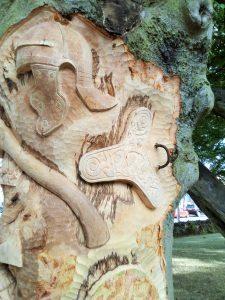 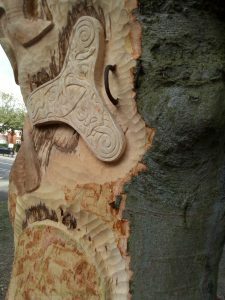 This happened whilst roughing out the area for the next item on the tree: the Saxon shield boss, found at Sheffield’s Hill, Lincolnshire. There’s an Art Festival on at the museum this Bank Holiday weekend ~ it’s been an annual event for around 60 years ~ so I won’t be back until next Tuesday.